“Global Self-elevating Offshore Support Vessels Market-Segmented by Application and Geography-Growth, Trends, and Forecast (2018-2023)”, the latest report from industry analysis specialist Orbis Research, offers comprehensive information and analysis of the global self-elevating offshore Support vessels market. The self-elevating offshore support vessels are multipurpose vessels with application in all phases of offshore oil & gas operations, and offshore wind farm operations. These vessels generally operate in the shallow water environment. Majority of self-elevating vessels are operating in the Gulf of Mexico. Due to the wide range of applications, the demand for self-elevating offshore support vessels remained high, despite the fall in crude oil prices after mid-2014. As a result, the offshore support vessels (OSVs) operators are aggressively expanding their self-elevating offshore support vessels fleet. Since 2014, major offshore support vessel builders, such as Keppel and Triyards, have received more orders for self-elevating offshore support vessels than any other type of OSVs. After the oil price crisis in 2014, the offshore oil & gas activity has declined significantly. During 2014-2017, the average annual offshore rig count declined by around 41%. Decreasing offshore activity has had an adverse impact on demand for offshore support vessels. Moreover, the day rates for the offshore support vessels, like Platform Support Vessels (PSVs) have declined by about 30% globally during 2014-2017. On the other hand, the day rates for self-elevating support vessels remained stable during the same period. The utilization rates for the self-elevating vessels have also remained high. For example, since 2014, the self-elevating support vessels in Gulf of Mexico region have registered an average utilization rate of around 95% indicating high demand and a shortage of self-elevating support vessels. The main reason for high utilization rate is a wide range of applications of these vessels. Due to this reason, many offshore vessel operators are moving towards the self-elevating support vessels instead of traditional platform support vessels. 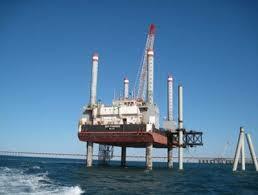 The United States dominates the offshore industry in North America. Many fields in the Gulf of Mexico, the region with highest shallow water offshore activity in North America, are approaching their maturity. Therefore, many platforms in the region are expected to be decommissioned during the forecast period. The self-elevating offshore support vessels have become an integral part of decommissioning operations in the region owing to their ability to operate in rough-sea conditions and their applications during decommissioning, such as for accommodation of the crew while the platform is being decommissioned, transportation of the heavy metal from decommissioned platform to surface and other such activities. The Offshore Support Vessels (OSV) amount to a significant share in decommissioning costs. Therefore, growing decommissioning activity in the Gulf of Mexico region is expected to drive the self-elevating offshore support vessels market in North America during the forecast period. The major players include - SEACOR Holdings Inc., Swire Pacific Limited, Hercules Offshore, Inc., Montco Offshore, Inc, Vahana Offshore Sdn Bhd., All Coast. LLC, Elevating Boats LLC, Mitchell Lift Boats, LLC., Baoham International Pte Ltd, and Halul Offshore Services Company W.L.L., among others.